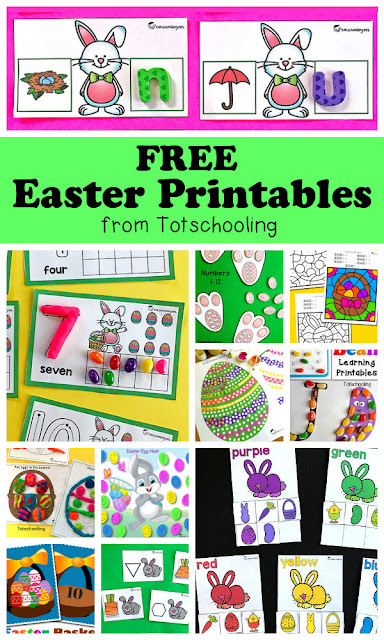 Use these Free printable Easter beginning sound cards for preschoolers and kindergarten kids to practice their letter sounds with a fun bunny theme! 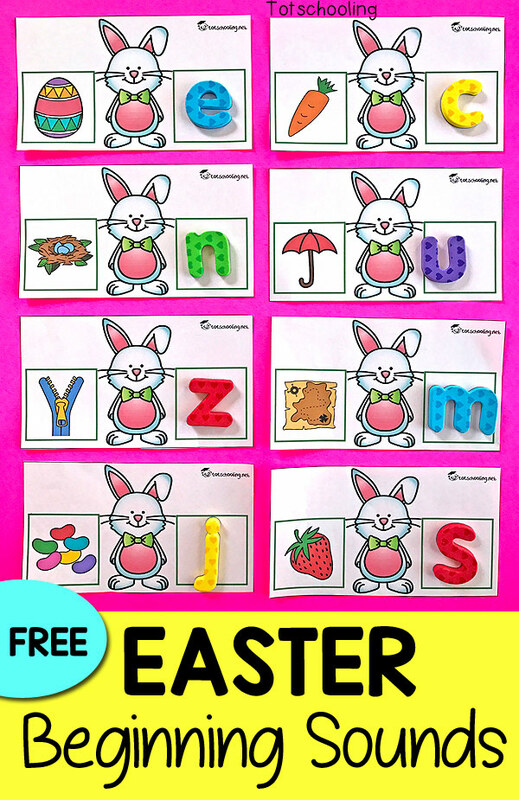 Laminate them for durability and use them with magnetic letters, letter tiles, or any set of movable alphabet pieces. Another option is for kids to write the letter with a dry-erase marker. This is great for practicing writing skills at the same time.